The best way to end the Spring term? Two spectacular productions. Year 5 kicked this off with “Grimes’ Fairer Tales” on Wednesday night. This was an immersive production, with the audience encouraged to get lost in the play, to forget their everyday worries and be transported into another world. The audience were not merely passive bystanders; however, they were in the middle of the action (much to the parents’ delight). 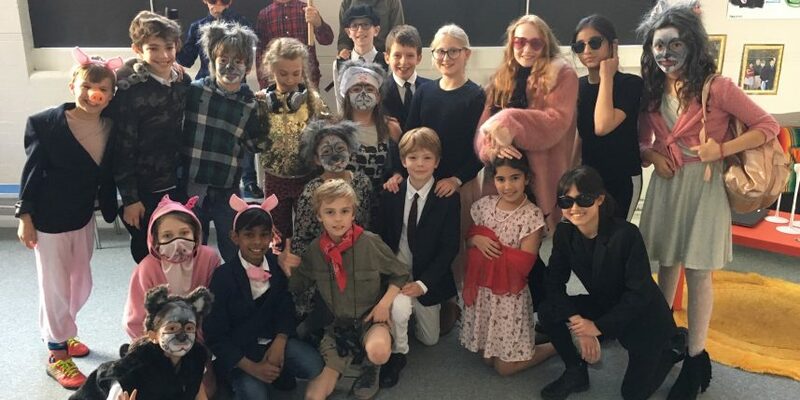 However, having only done one rehearsal come Wednesday afternoon, the teachers were a little apprehensive about how the production would unfold… However, in true year 5 style, the children pulled it out the bag and provided a fantastic fairy tale, which entertained parents and staff alike. It was a real team effort, with children clubbing together with Mr Mike to create a gorgeous set and parents for donating props, costumes and face paint! A big thank you to all. We await to see the year 3 and 4 production this evening, good luck!